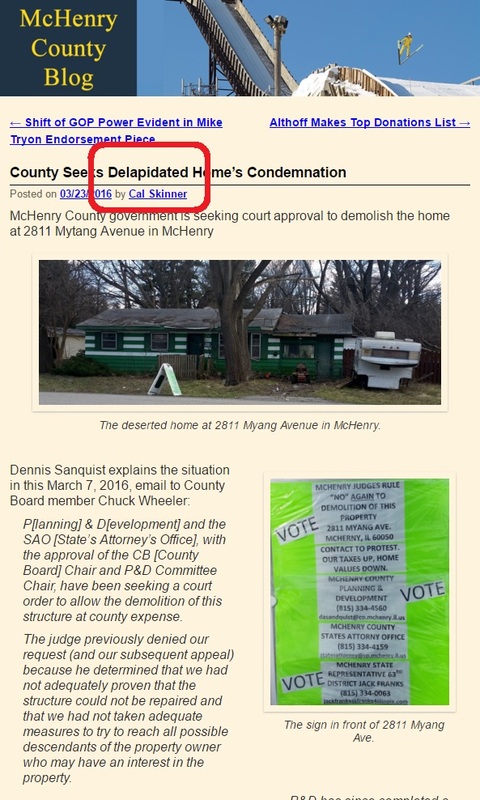 The source of the shoddelly captioned blog post is the antedeluvian McHenryCountyBlog. Deligent readers may suspect that crocodele tears are being shed over this delettantish effort -- which your LakeCountyEye will readely admit. That's all your LakeCountyEye has. No more delly-dallying.